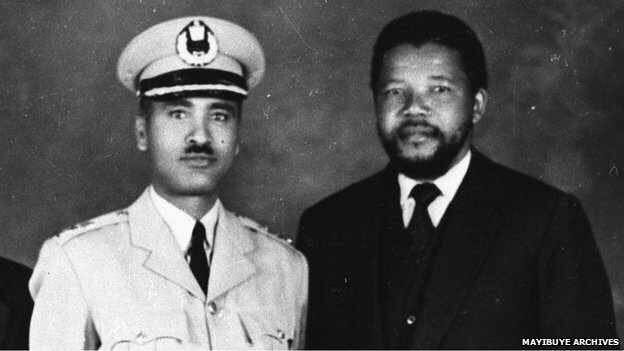 [“In 1962, Mr. Nelson Mandela secretly travelled to Ethiopia for military, political and spiritual training. Haile Selassie’s Ethiopian army, on the orders of Haile Selassie himself first trained and armed Nelson Mandela in his struggle against apartheid South Africa. On the personal orders of his Majesty, the Ethiopian Colonel in charge of Mandela’s military training gave him a gun with which he was to bring down the ignoble and unhappy apartheid regime still thriving at that time in South Africa. Mandela went back to South Africa to continue his struggle. The rest is history. The subject of the News-story that follows below concerns that very gun that Haile Selassise provided Nelson Mandela… ” – Editor’s Note: per Rasta Livewire]. JOHANNESBURG – Buried beneath a thick layer of dirt on a former farm in a northern Johannesburg suburb is the most famous gun in South African history. Or so a team of historians believe. For the past week, a bulldozer has been digging on the Liliesleaf farm in Rivonia in search of the Bulgarian pistol that former South African President Nelson Mandela hid weeks before his 1962 arrest by the nation’s white rulers. The effort to find the gun — which was largely forgotten through the darkest days of apartheid, the fall of white rule and establishment of democracy — has taken on a life of its own and stoked the interest of many, including Mandela. “He has said, ‘I hope you find it,'” said Nicholas Wolpe, the son of Harold Wolpe, an anti-apartheid activist who helped buy the property in 1961 for use as a secret meeting place for Communists and African National Congress members. 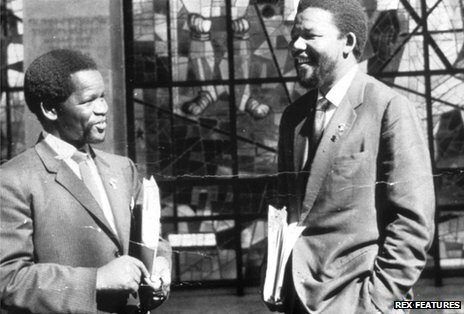 The previous year Mandela had formed Umkhonto we Sizwe (MK), or Spear of the Nation, to lead the ANC’s armed struggle. Records suggest Mandela buried the gun on or about July 25, 1962 — just under two weeks before he was arrested elsewhere and tried for incitement and leaving the country illegally, according to Nicholas Wolpe. Mandela has said he and an unidentified comrade buried the weapon along with 200 rounds of ammunition in a 1.5 meter-deep pit some 50 paces from a kitchen at the Rivonia hideout. The farm was raided by police in 1963. Some have speculated that the discovery of the gun in 1963 could have led to Mandela and his comrades being charged with treason, which carried an automatic death sentence under apartheid law. Mandela was freed in 1990 and went on to be elected South Africa’s first black president in 1994. In 2003, Mandela visited the Rivonia site and pointed to a spot where he believed the gun to be buried. “It’s over there,” he is quoted as saying. If found, the gun will become part of a planned learning center to be established at Liliesleaf, said Nicholas Wolpe, who founded the Liliesleaf Trust to preserve the farm as an historic site. The trust has received money from the South African government, the private sector and individual donors. Oromo, I love your name, The word that you just read was from Mr Mandela Himself. Emperor Hailesilase gave him the gun. i thought this article might interest you. What do Haile Selassie and Mandela have in common? Among other things, both are Africa’s most prominent politicians who have come to be considered as inspiring and iconic figures of our age. Though one was a symbol of regal and feudal power and the other a revolutionary with Marxist inclination, both have come to demonstrate great political ability and astuteness during their period in office. Both suffered colonial oppression, and both of them mobilized their respective peoples against oppressors that violated their freedoms. Both are cool, self-contained men, who managed to stay calm and graceful under pressure.